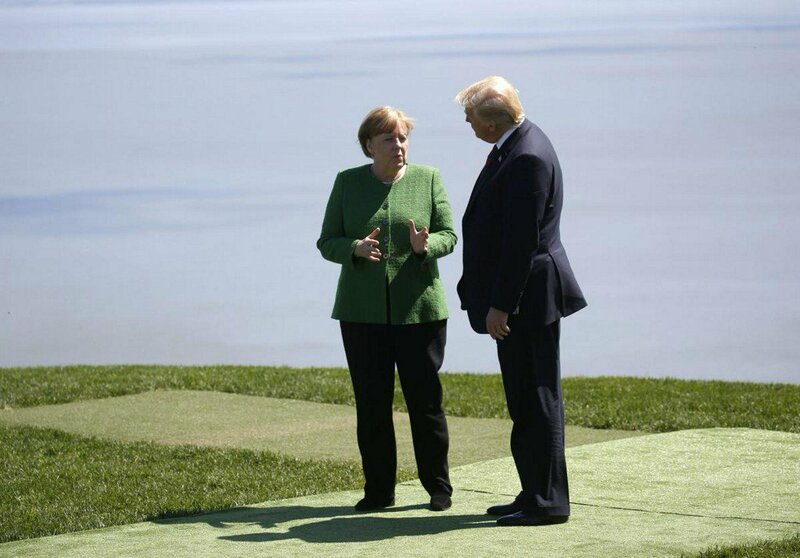 US President Donald Trump (right) and German Chancellor Angela Merkel (left) at the G7 meeting in Charlevoix. Trump believes NATO should deploy a combined force under its collective security arrangement that truly has the capability and capacity to deter, and if necessary, fight and defeat attacks from all directions, but especially an attack from their most likely adversary: Russia. He believes the time to rebuild NATO is now. The degree to which the Europeans invest in the build up of their defense will impact how Trump will handle situations concerning Europe with Russian Federation President Vladimir Putin. The renowned US foreign policy scholar and former US National Security Adviser, Zbigniew Brzezinski, stated that sophisticated US leadership is sine qua non of a stable world order. US President Donald Trump has set forth to serve in the leadership role as prescribed. Serving that role entails meeting with Russian Federation President Vladimir Putin to discuss matters concerning the world’s strongest nuclear powers and the threat posed by Russia to European security. As the leader of West, he must also serve as the steward of NATO and ensure transatlantic security is effectively maintained. On its face, there is a link between these matters as concerns of the president. However, the tie is much greater. 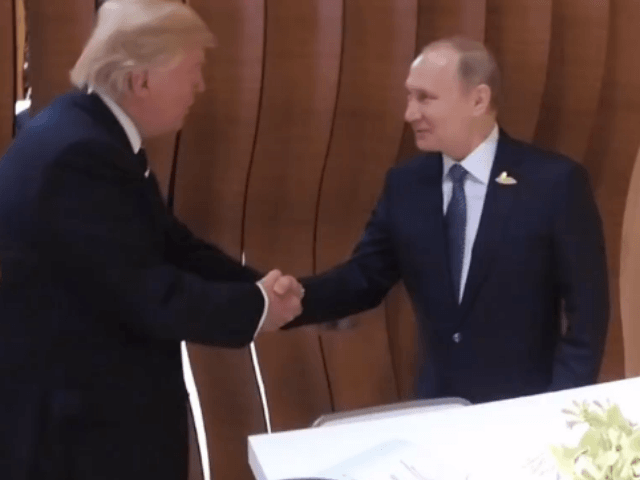 Trump plans to meet with Putin both one-on-one and in a formal meeting with delegations of aides in Helsinki, Finland on July 16, 2018. The meeting will be the first formal summit talks between them. They have met previously on the sidelines of conferences. They have also had a number of telephone conversations. The decision by the two leaders to have summit meeting was actually reached through phone conversations on March 20, 2018 and April 2, 2018. US National Security Adviser John Bolton explained in an televised interview, “The goal of this meeting really is for the two leaders to have a chance to sit down, not in the context of some larger multilateral meeting, but just the two of them, to go over what is on their mind about a whole range of issues.” In a conversation with reporters aboard Air Force One on June 29, 2018, Trump said that he planned to talk to Putin about everything. He further stated: “We’re going to talk about Ukraine, we’re going to be talking about Syria, we’ll be talking about elections. And we don’t want anybody tampering with elections. We’ll be talking about world events. We’ll be talking about peace. 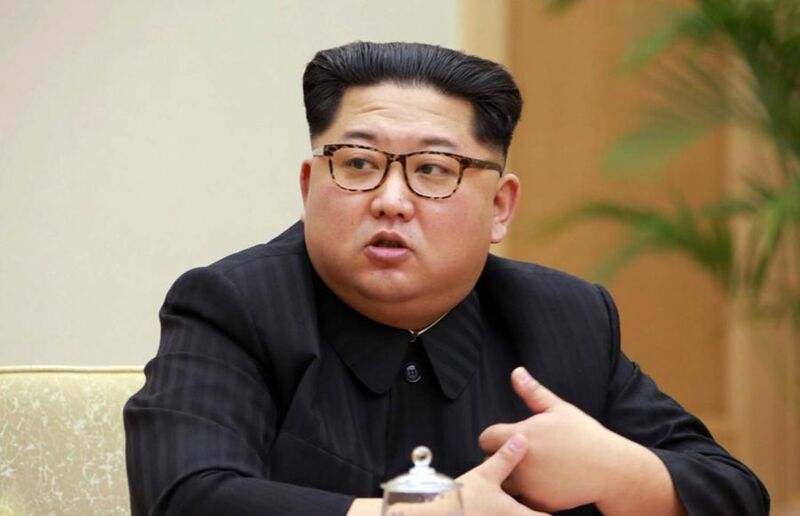 Maybe we talk about saving billions of dollars on weapons, and maybe we don’t.” (There is also a good chance that the ears of North Korean Supreme Leader Kim Jong-un will be burning once the one-on-one session is underway.) At the same time news broke about the planned summit, reports that Trump sent letters in June 2018 to several European leaders concerning NATO surfaced. The letters also arrived one month before the July 11-12, 2018 NATO Summit in Brussels. 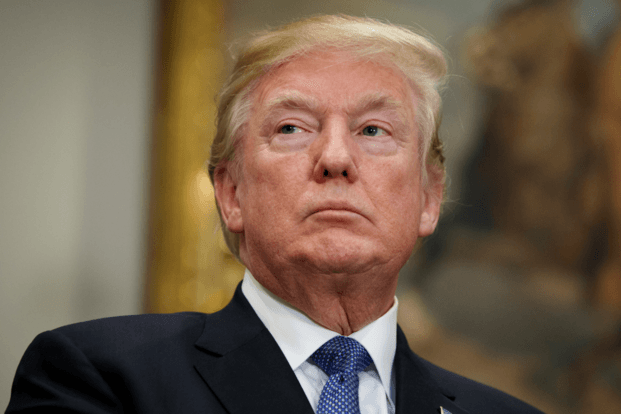 Trump purportedly explained in the letters that after more than a year of public and private complaints that allies have not done enough to share the burden of collective security. Trump hinted that in response, he might consider a significant modification in how US forces are deployed in Europe. The letters have indeed been the latest figurative ladle Trump has used to stir billows in the pot with European leaders. While most might view it as doubtful, Trump means well, and at least from his perspective, he has done everything for all the right reasons. Indeed, a closer look at the situation, or a look at the situation from outside the box, indicates that the situation is not as bad as it may seem to other European leaders and their advisers. Russian Federation President Vladimir Putin (above). Finding a way to establish an authentic positive relationship with Russia is a struggle US administrations have engaged in for a few decades. Trump said he would give his best effort to finding a solution. He does not want to settle on a long-term stand-off in which peace, particularly in Europe, is placed at risk. Trump has already met with Putin and by Putin’s admission, he and Trump regularly discuss matters by phone. However, everything is not perfect yet; rough patches exist. Finding a way to establish an authentic, positive relationship with Russia is a struggle US administrations have engaged in for a few decades. Trump said he would give his best effort to finding a solution. He does not want to settle on a long-term stand-off in which peace, particularly in Europe, is placed at risk. Trump logically concluded that accomplishing these things would first require establishing a positive relationship with Putin. 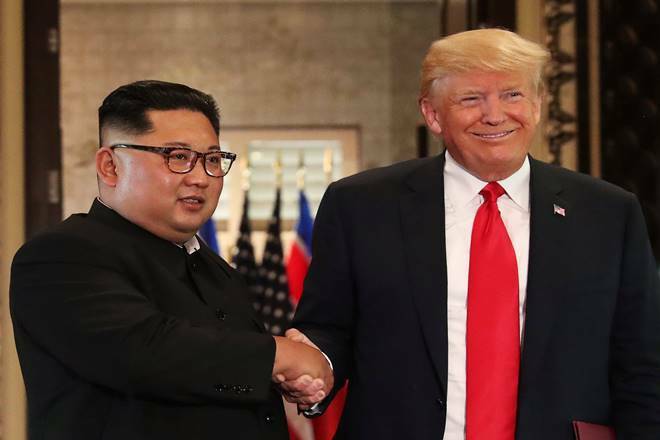 Trump has already met him and so far their chemistry has been good. 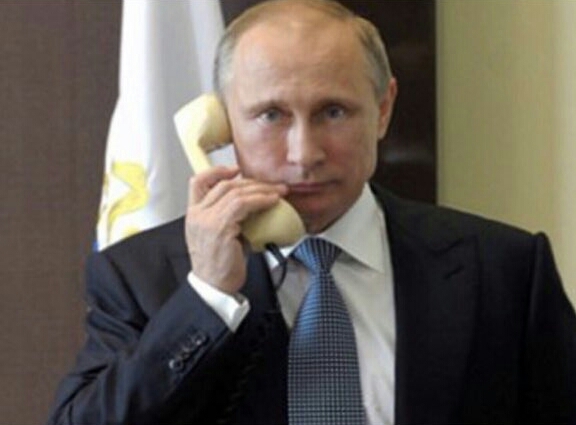 By Putin’s admission, he and Trump regularly discuss matters by phone. However, everything is not perfect; many rough patches exist. In assessing the possibility of improving relations with Russia, albeit in the abstract, Trump has taken a good look inside. He has not missed what has been happening there. He is aware that Russia is an authoritarian regime with all of the authoritarian tendencies at home and abroad. That authoritarianism is harnessed by a quest for economic development. Commingled with that is the politicization of local economic activity. What creates the slightest possibility that economic development may pan out in some way is the fact that Russia is oil rich. Still, that possibility has been dampened somewhat by the reality that Russia is a criminalized state. In terms of foreign policy, the goal of authoritarian Russia is to supplant Western power, diminish Western influence, and weaken stability promoted by the West. Russia has also sought to increase its influence in Eastern and Central Europe. In the previous US administration, that region was not a priority. The previous US administration introduced policy approaches such as “Pivot to Asia” and the “reset with Russia” which sent the wrong signals to Moscow. Russia had kept its sights on the region. It was have very senior leaders visit the region frequently.To the extent that it could, Russia would invest in infrastructure, provide military assistance, and support pro-Russian political parties and movements. Occasional visits from US officials supported a perception in Washington that is was engaged. The vacuum created by the delinquency of the previous US administration in the region was filled by Russia. After Moscow grabbed Crimea and began to shape Eastern Ukraine, the US made it clear that it did not accept what occurred and set clear boundaries for Russia in Ukraine. Expectations were laid out. Still, Russia has continued to engage in aggressive behavior. Over 10,000 Ukrainians have been killed in the struggle in Donetsk and Luhansk. In the Trump administration, no doubt has been left in public statements and messaging. Sanctions remain in place. 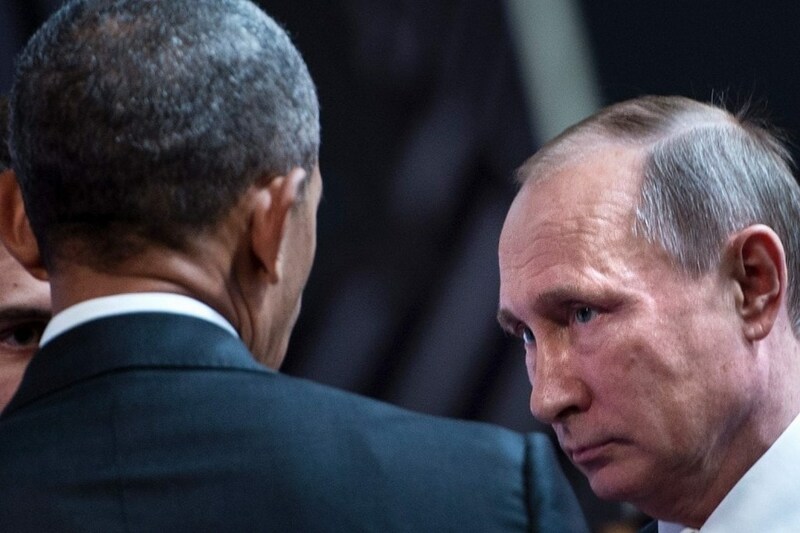 The US is willing to engage with Russia where there are shared interests. Counterterrorism and nuclear nonproliferation are examples of that. 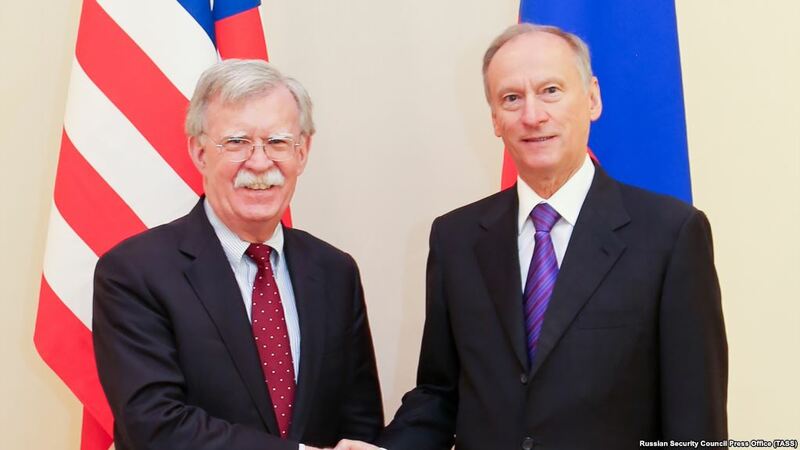 However, nefarious Russian moves, as seen in Montenegro, Moldova, Bulgaria, and threatening language toward States as Macedonia, Norway, and Finland, have drawn and will prompt harsh language from the US. Russia has even sought to antagonize Trump through efforts such as boasting about the strength of Russia’s arsenal and using computer graphics to illustrate the ability of hypersonic weapons to reach his Mar-a-Lago residence in Florida. Trump broached that matter with Putin during his phone call with him on March 20, 2018. US efforts to counter Russian moves have not only included pressing for greater burden sharing on defense, but also weakening support for Nord Stream II. An additional factor for Trump to consider is the influence of Russia’s intelligence industry–the Komitet Gosudarstvennoy Bezopasnosti (the Committee for State Security) known better as the KGB—the agency responsible for intelligence, counterintelligence, and internal security from Russia’s Soviet past, the Federal’naya Sluzhba Bezopasnosti Rossiyskoy Federatsi (Russian Federation Federal Security Service) or FSB; the Sluzhba Vneshney Razvedki (Foreign Intelligence Service) or SVR; and, the Glavnoye Razvedyvatel’noye Upravleniye Generalnovo Shtaba (Main Intelligence Directorate of the General Staff-Military Intelligence) or GRU–has on the society. When the Soviet Union collapsed, Russia really became a criminal country. By successfully navigating through the banality, incompetence, and corruption of the Soviet government, the intelligence industry managed to stand on top of all that was good, the bad, and ugly in the new Russia. Intelligence officers have always been fully aware of what was transpiring in their country. Soviet intelligence officers recognized when the collapse of their country was underway. Yet, they viewed it as a duty to keep the truth from the people. Information control was also used as the justification for such action. Prevaricating remains part of the government’s life system and survival system. Perhaps the primary goal of such mendacity now is to “make Russia great again.” When the truth plays a role, it is misused. Facts are distorted to cloak some scheme. The truth will many times threaten Moscow’s efforts. When Russian untruthfulness is encountered by the West on issues great and minor, often the response is surprise and disappointment. Confronting Moscow on the truth will not bring a satisfactory result. There will be no admissions, no confessions, no mea culpas. That being said, Trump should still meet with the leader who sits on top of it all to find out what is happening in Russia. 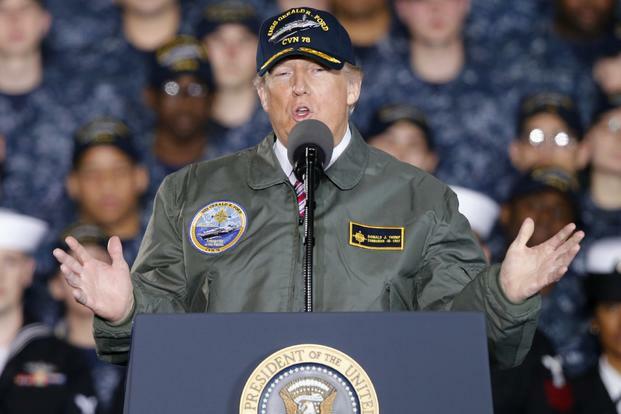 Trump aboard the USS Gerald R. Ford aircraft carrier (above) To immediately field a NATO force that would be genuinely capable of deterring and if necessary fight, repel, and defeat Russian forces the US would need to cover any gaps in NATO’s strength, earmarking a sizeable portion of its forces primarily for that task. Trump cannot rightly increase US spending and invest more US troops in NATO, if the Europeans intend to simply sit back and let the US carry the load, and potentially cut back on defemsr. The Europeans can build stronger armies and field more advanced weapon systems. The US commitment to NATO is extant. Even after all that has been said, Trump absolutely understands that NATO is essential to the defense of the US and its interests in Europe. Although Trump has not made a grand display of his concern, he actually sees Russia not only as a competitor, but as a genuine threat. The US will take the lead in handling Russia during his administration, but he wants the European to genuinely stand beside the US in its efforts. In 2017, the Trump administration explained that taking the lead internationally and advancing US military, political and economic strength is a vital US interest. To that extent, the Trump administration has promised to greatly increase the capabilities and capacity of the US military. Additionally, it has sought to bolster US power by strengthening its alliances and its partnerships with economically thriving partners. It has done so while ensuring that those alliances and partnerships are based on mutual respect and shared responsibility. 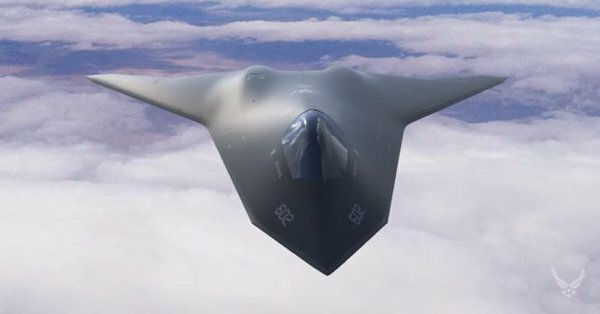 In the US National Security Council’s summary under, ”Preserve Peace Through Strength”, steps the administration stated it would take were outlined as follows: “We will rebuild America’s military strength to ensure it remains second to none. America will use all of the tools of statecraft in a new era of strategic competition–diplomatic, information, military, and economic—to protect our interests. America will strengthen its capabilities across numerous domains–including space and cyber–and revitalize capabilities that have been neglected. America’s allies and partners magnify our power and protect our shared interests. We expect them to take greater responsibility for addressing common threats. We will ensure the balance of power remains in America’s favor in key regions of the world: the Indo-Pacific, Europe, and the Middle East.” Trump’s letters to European leaders manifested his determination to get them to significantly increase their military expenditures, make NATO an authentic deterrent to potential Russian aggression, and along the way, take greater responsibility for addressing common threats. Some might find it confusing, but the letters also evinced the degree to which Trump is genuinely concerned about the well-being of Europe and NATO. According to the New York Times, the actual number of letters sent by Trump has not been revealed. The White House explained that it does not comment on presidential correspondence. Other sources apparently informed the New York Times that at least a dozen were sent. Supposedly, recipients included: Germany, the United Kingdom, Canada, Belgium, Norway, Italy, Luxembourg, the Netherlands, Portugal and Spain. Excerpts of Trump’s letter to German Chancellor Angela Merkel was shared with the New York Times by someone who saw it. Trump allegedly wrote to Merkel: “As we discussed during your visit in April, there is growing frustration in the United States that some allies have not stepped up as promised.” He continued: “The United States continues to devote more resources to the defense of Europe when the Continent’s economy, including Germany’s, are doing well and security challenges abound. This is no longer sustainable for us.” Regarding frustration over NATO in the US, Trump explained: “Growing frustration is not confined to our executive branch. 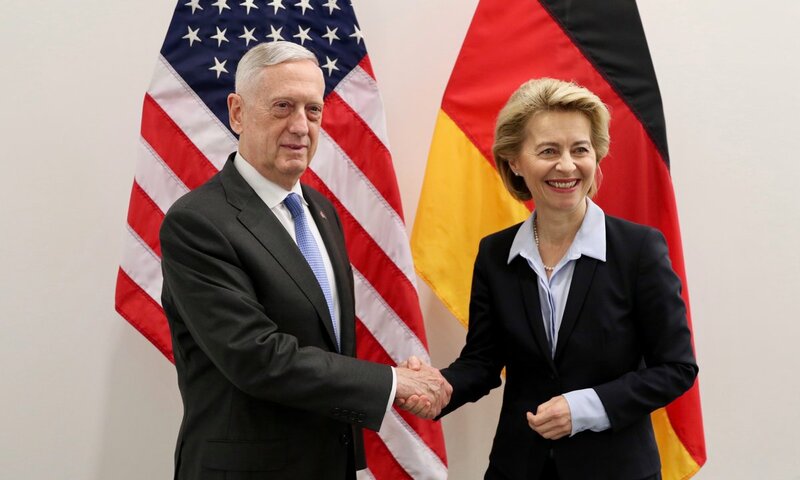 The United States Congress is concerned, as well.” Trump also posited in the letter that Germany deserves blame for the failure of other NATO countries to spend enough, writing: “Continued German underspending on defense undermines the security of the alliance and provides validation for other allies that also do not plan to meet their military spending commitments, because others see you as a role model.” Most likely in a further effort to light a fire under the Europeans, the Trump administration made it known that the US had been analyzing a large-scale withdrawal of US forces from Germany. US Secretary of Defense James Mattis expressed concern over the direction that the United Kingdom was moving regarding defense in his own letter to the United Kingdom’s Defence Secretary Gavin Williamson. The United Kingdom has cut defense spending over the past decade in line with an austerity program that has also seen cuts to domestic spending. London and Paris still field far and away the most powerful militaries in Europe. While Mattis noted that the United Kingdom, a NATO allies that has met the alliance’s target of 2 percent spending of GDP on the military, he insisted it was not good enough for a country of its status. Regarding the United Kingdom’s global role, Mattis proffered that it “will require a level of defense spending beyond what we would expect from allies with only regional interests.” Mattis went on to state: “I am concerned that your ability to continue to provide this critical military foundation … is at risk of erosion.” Supporting his position, Mattis explained: “The reemergence of the great power competition requires that we maintain vigilance and the ability to operate across the full combat spectrum, notably at the high end.” He continued: “While we must sustain military capabilities to deter, and win if deterrence fails . . . we must also improve and enhance those capabilities if we’re to carry out our obligations to future peace.” As part of process of turning the situation around, Mattis asked for a “clear and fully funded, forward defense blueprint” from the United Kingdom. Mattis stated that “It is in the best interest of both our nations for the UK to remain the U.S. partner of choice.” However, he noted that France was increasing its spending, and wrote: “As global actors, France and the U.S. have concluded that now is the time to significantly increase our investment in defense.” Some Members of Parliament have called for spending to increase to 2.5 or 3 percent of national output from 2 percent. In his first book, De Officiis (on Duties) written in 44 B.C., the renowned Roman orator and statesman of Roman Republic, Marcus Tullius Cicero explained that individuals do not exist to be in constant antagonistic contest. Instead, individuals exist to help each other in peaceful cooperation to the mutual benefit of all. He stated: “Consequently, we ought in this to follow nature as our leader, to contribute to the common stock the things that benefit everyone together and, by exchange of dutiful services, by giving and receiving effort and means, to bind fast the fellowship of men with each other.” Europeans leaders unlikely sensed from his inauguration Day on January 20, 2017, that working with Trump would not be a passeggiata. However, there appears to be more than the usual occasions of disappointment and discord with their ally across the Atlantic. Trump’s statements directed toward European leaders on NATO has resulted in an emotional mangle. Real feelings of trepidation exist among them. When national leaders are fogged in on an issue and cannot get a handle on a situation in a satisfying way, there is an anxiety, a sense of panic that ensues. Not being able to answer big questions on foreign policy, especially when they are dealing with such a powerful and influential country as the US will often obstruct, even thwart efforts to formulate and implement policies, strategies, and nuanced approaches. The popular response of European leaders toward Trump has been to react intemperately and to figuratively march against him, banners of their countries flying. They are well-aware that by reproaching Trump, they will be feted in their respective national news media and within the public of their countries. However, the small benefits derived from pleasing crowds at home is far outweighed by the bigger picture of their countries respective relationships with the US. Many European leaders have not looked beyond the surface by trying to better discern Trump’s words and deeds, by ratcheting up diplomatic and other contacts with US, and devising fresh approaches to work better with the Trump administration. They have failed to view these quarrels as opportunities to develop new, better, enriching paths to take with the US. What they have done is create the danger of driving their countries’ relations with the US down to lower points. A notable exception to all of this has been German Chancellor Angela Merkel. Although still bearing the brunt of Trump’s admonishments of the Europeans, her approach to Trump has evolved in a very sophisticated, constructive way. She now takes a solution oriented, not a reactionary, approach to issues at hand, taking a hopeful tone with Trump and encouraging him to consider what she is relaying . On the matter of trade, she has offered thoughtful options particularly on economic issues that could mitigate an exchange of harsh tariffs. Merkel is aware that when there are confrontations between European leaders and Trump, “in the heat of battle”, a tigerish performance will be seen from him. That has only had a deleterious effect on relations with US, decelerating the process of finding solutions to issues. Merkel will very likely accomplish much as she moves in a methodical way toward the US president. Given the attitudes and behavior of some European leaders toward him, Trump undoubtedly appreciates the sangfroid and steadfastness displayed by Merkel, and the good rapport he has been developing with her. 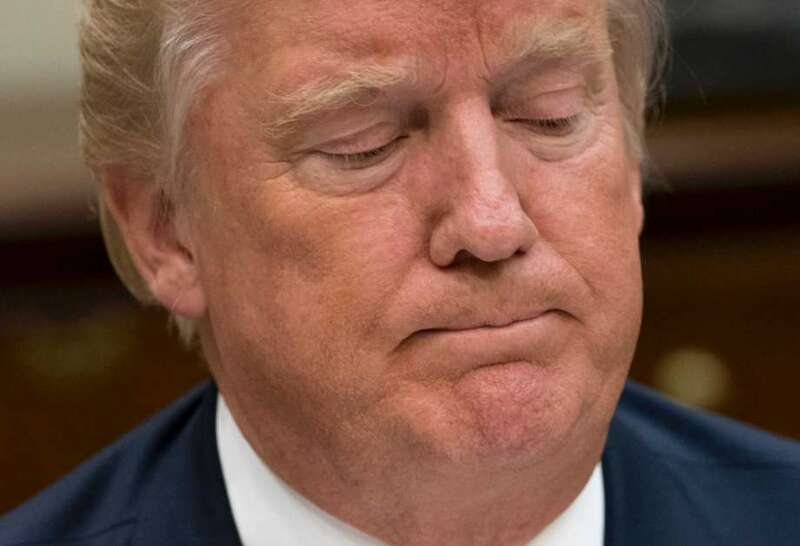 Trump’s own responses on social media to reactions in European capitals to his admonishments, not only by letter, but via official statements and messaging, represent his immediate perceptions and his frustration that his counterparts are not seeing issues in the same way he does. At a deeper level, Trump is most likely very disappointed that such discord has been obtained as a result of his words. His goal is certainly not to defeat or lay seize to his allies on the issue of of defense spending. The European allies are definitely not his foes and not perceived as such by him in the slightest way. His actions are not part of some decision to engage in endless campaigns of finger wagging against European allies to achieve some strange, vacuous sense of superiority over them as has been suggested by some critics. Words have flown back and forth, and critics have described it as chaos. However, order could still be found in that so-called chaos. There is structure underpinning every foreign policy tack taken by Trump. When deciding to approach European leaders on what he believes NATO must do to defeat that threat, Trump clearly did not feel the situation would allow for some longer term effort in which he would try to cultivate their affections. Trump’s letters to European leaders evince that he doubts they are ready to act on their own volition in a way that cause any real strain. Trump also apparently feels that time is the essence and that facts, not sentiment, support that view. Those NATO Members whose borders are closest to Russia sense the threat. However, it appears that the farther west NATO Members are situated from that virtual “boundary line” with Russia, the weaker their sense of immediate emergency becomes. European leaders may fulminate against Russia in public speeches, creating the optics of being resolute on defense during election campaign or otherwise. Yet, they are less energetic in using their countries’ tools of national power–military, diplomatic, economic, political, and information–to make the situation better. Trump may complain but, they will still hesitate to invest in defense. It may very well be that the alarms set off by Russia’s move into Crimea have been somewhat quieted and nerves are less frayed in capitals over what occurred. Still, Russia has not gone away. The conceptual sixth-generation US fighter, the F-X (above). Trump has not made a grand display of his concern, but he likely sees Russia as a threat, not just a competitor. In 2017, the Trump administration explained that the US would take the lead internationally and advance US military, political and economic strength. The capabilities and capacity of the US military would be greatly increased. New fighters such as the F-X would be built. Alliances and partnerships based on mutual respect and shared responsibility would also be strengthened. Quod dubites, ne feceris. (Never do a thing concerning the rectitude of which you are in doubt.) Likely uppermost in Trump’s mind is how he would ever be able to make progress on NATO when the mindset, the psyche of the allied leaders, evinces a somewhat limited interest in genuinely making the situation better. By all that is being said by national leaders, it sounds as if they want a strong defense, but they are acting quite differently. Indeed, Trump hears Europeans complain about Russian actions and potential actions in Ukraine, Georgia, Moldova, and even the Baltic States, a fellow NATO Member. 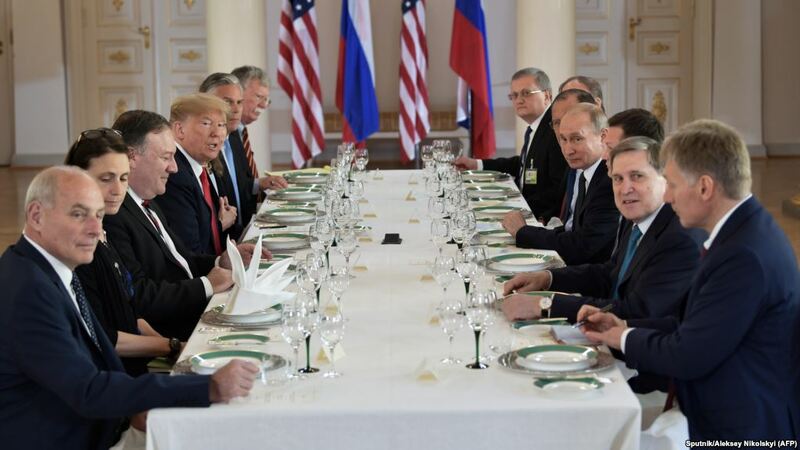 However, complaining and repositioning a modicum of forces will not allow Trump to legitimately tell Putin how energized and prepared NATO Members are ready to act against any aggression especially when its members still will not meet politically agreed goals of spending. Their will and readiness to act must real if their efforts are to have any meaning in the military sense, not the domestic political sense. Trump is frustrated by the fact that the wrong signals are being sent to Putin by the casual attitude and relaxed behavior of the Europeans. Putin has little reason to be impressed with NATO. The Europeans can be assured that he watching events far more carefully than they would like. He has noticed the degree to which European leaders actually care for Ukraine. Perhaps European leaders would argue that they are providing arms and advisers to Ukraine and have bolstered the defense of the Baltic States and have had their armed forces participate in greater numbers in NATO exercises as well. However, looking good by doing a few good things is not the same as being good, by doing everything at the levels required. Putin may very well be wondering whether European leaders may go soft if he “supports” pro-Russian activity deeper or elsewhere in that Ukraine, if he takes more of Georgia, if he builds up its military and naval bases in Kaliningrad, or if he positions Russian ground forces in a way that threatens the Suwalki Gap. 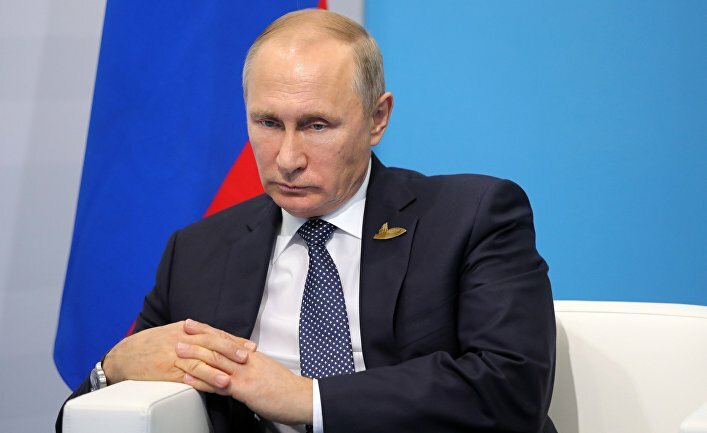 Putin has been engaged in a campaign of probes, investigating, testing the resolve of European leaders with aerial and naval intrusions into NATO airspace and waters. Such prospective moves on the ground would make the Russian threat three dimensional, and leave little doubt in the minds of NATO military analysts that his campaign of probes would best serve the purpose of preparing for military action. To field a NATO force genuinely capable of deterring and if necessary fight, repel, and defeat Russian forces, the US itself would need to cover any gaps in NATO’s strength, earmarking a sizeable portion of its forces primarily for that task. Trump cannot rightly increase US spending, invest more US troops in NATO, if the Europeans intend to simply sit back and let the US carry the load, and potentially cut back and actually do less. That would hardly be in the interest of the US, especially when the Europeans could build stronger armies and field more advanced weapon systems and gear. What would likely happen is that the Europeans would let the US do all the heavy lifting. The US military cannot be allowed to be a surrogate army for the Europeans. When deciding how to approach European leaders on what he believes NATO must do to defeat the threat posed by Russia, Trump apparently did not feel the situation would allow for a long term effort in which he would try to cultivate their affections. Trump’s letters to European leaders evince that he doubts they are ready act on their own volition in a way that cause any real strain. Trump seems to feel that time is of the essence and that facts, not sentiment, support his view. On a deeper level, Trump is likely disappointed that such discord was obtained as a result of his words. Trump has a sense that European military commanders are well-aware that greater efforts are needed by their respective countries in order provide for an authentic defense of Europe. Moreover, they know the matter is not black and white and cannot be corrected by simply increasing spending. An approach to defense, genuinely based on the idea of deterring an opponent, and fight and defeat the opponent if deterrence fails, must exist. However, they are subordinated to civilian authority, political leadership. 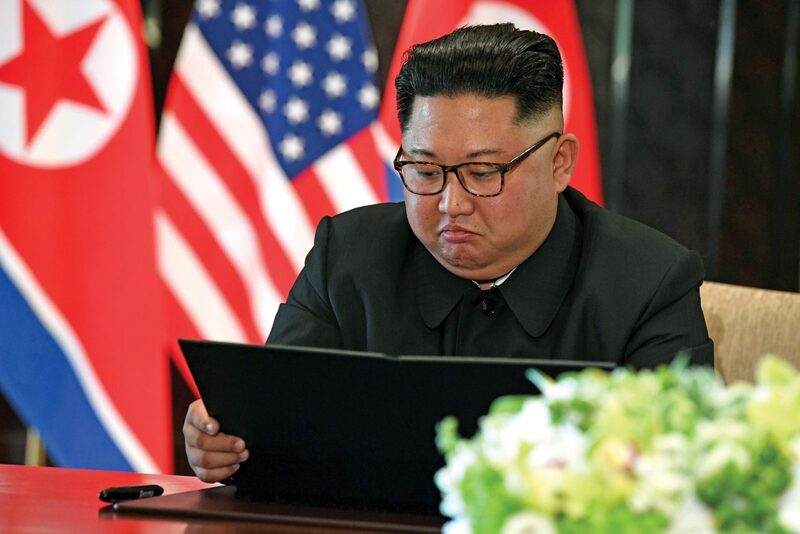 Defense officials and military commanders that may insist on expressing such concerns, in the past have been rebuffed, scorned, called paranoid is potentially destabilizing, creating undue uncertainty and insecurity in the minds of the public. 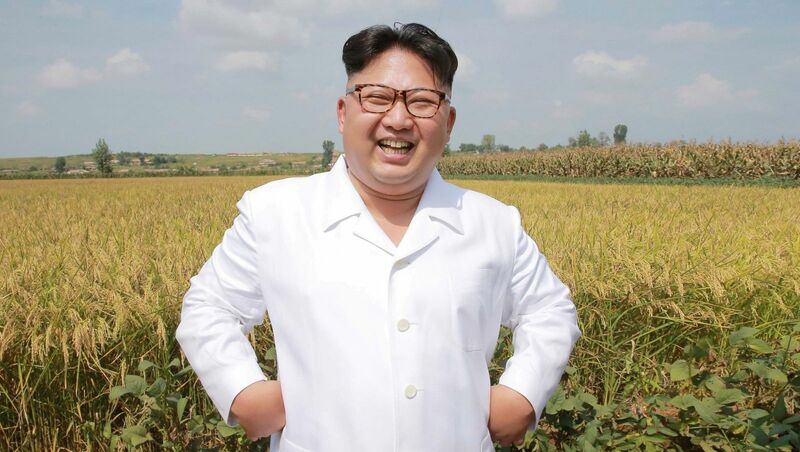 They may also be admonished for unnecessarily creating concerns among potential enemies or direct threats to potential adversaries which leaders hope to relax by being cautious and calibrated in their decisions on defense. Denied what they need to succeed by political leaders, their civilian authorities, absent a decision to resign from their respective armed forces, military commanders have little choice but to submit to that authority and fight and likely fail with whatever is given to them. This behavior was evinced in NATO discussions on considering how to organize the NRF and smaller VJTF. In the creation of the force, the well-considered, educated assumption was made that Russia, advancing westward militarily once more, would again use the tactics seen in South Ossetia and Abkhazia in Georgia, and in Crimea, Donetsk, and Luhansk in Ukraine. In the best case scenario for NATO, it would be alerted before Russian forces rushed into a neighboring country using heavy armored and mechanized units, highly mobile infantry, combat service units, and combat service support units, by observing it painstakingly massing along the mutual border with the country or countries it threatens. However, it would be counter-intuitive for Russian military commanders to do that. It would be similarly counter-intuitive for Russia to use the hybrid warfare tactic which NATO is best organized to oppose in any future moves. In the Zapad 2017 exercises, Russian forces displayed the capability to rapidly mass and quickly and successfully engage an opposing force. 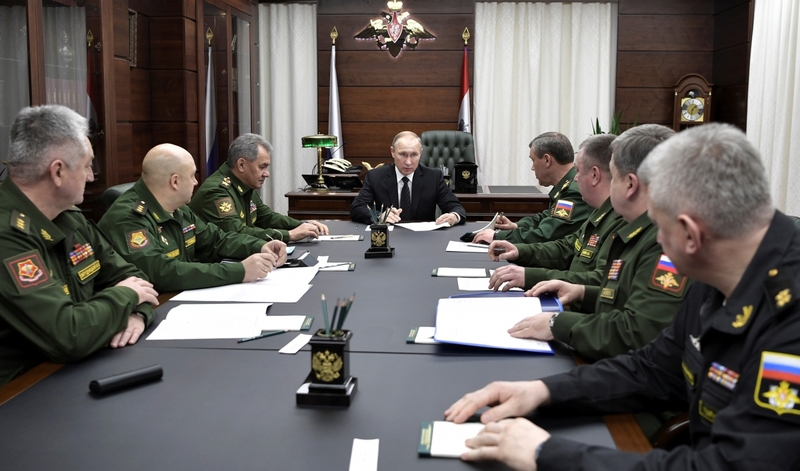 If instead of a hybrid attack, Putin ordered a Russian force, truly overwhelming in size and combat power, to rapidly mass and roll into a neighboring country and quickly engage and drive through elements the VJTF on the ground, it might be futile for the VJTF or NRF fly into a non permissive environment in an attempt to reinforce those vastly outnumbered or overrun elements. The quantity of pre-positioned weapon systems and ordinance that made available to it might be of little consequence. NATO forces deployed on the ground must be of sufficient size and power that such a move by Russia would be unthinkable. Trump is frustrated by the fact that the wrong signals are being sent to Putin by the casual attitude and relaxed behavior of the Europeans. Putin has little reason to be impressed with NATO. The Europeans can be assured that he watching events far more carefully than they would like. Putin may be wondering whether European leaders may go soft if he “supports” pro-Russian activity deeper orelsewhere in that Ukraine, if he takes more of Georgia, if he builds up military and naval bases in Kaliningrad, or if he positions ground forces in a way that threatens the Suwalki Gap. Meminimus quanto maiore animo honestatis fructus in conscientia quam in fama reponatur. Sequi enim gloria, non appeti debet (I am sensible how much nobler it is to place the reward of virtue in the silent approbation of one’s own breast than in the applause of the world. Glory ought to be the consequence, not the motive of our actions.) Trump seeks to accomplish much for Europe. Some of his goals would have been unheard of in the past. His effort to achieve them is not a mirage. 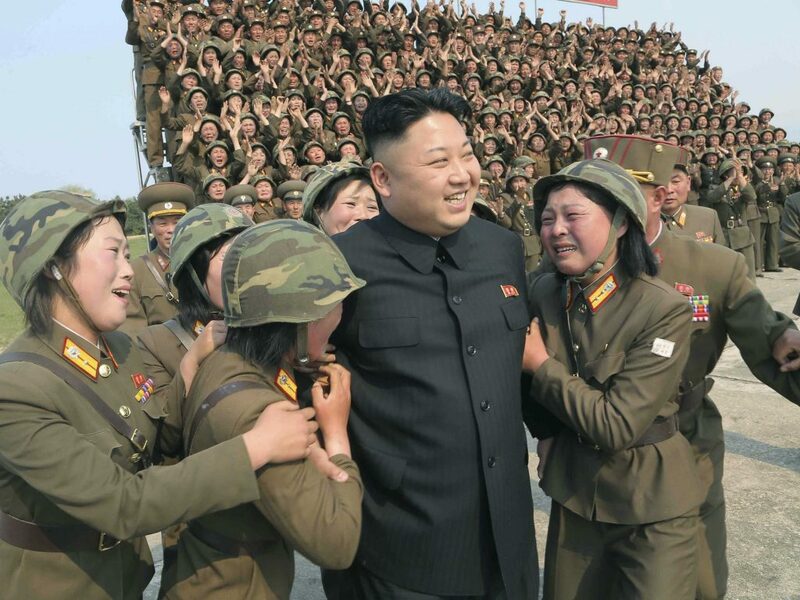 Critics have so desperately tried to convince the world he seeks to do more harm than good. A common, casual, and dastardly way to take down a patriotic citizen of any country is to bring one’s loyalty into question. To the extent that the ongoing investigations into alleged collusion of the 2016 US Presidential Campaign and the Russian Federation government that impression has been created. Even if the outcome of it all goes Trump’s way, the impression of wrongdoing will likely stick to some degree in the US public. 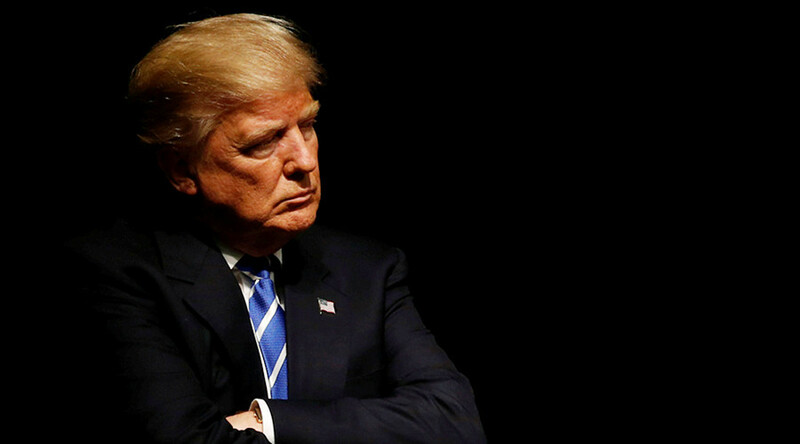 Trump has the will to persevere, to continue until he gets the outcome he wants. Perhaps Trump’s approach is a bit unconventional. Yet, additionally,, there is also an optimism about Trump. He imagines the positive. He anticipates success in what he does. If Trump’s goals for European defense and transatlantic collective security are achieved, and it is very likely they will be, European capitals will appreciate all of it. Trump is well-aware that being a NATO Member State does not simply mean fulfilling certain obligations of the collective security arrangement, such as: posting an ambassador to the headquarters; attending ministerial meetings; leaders summits; “paying dues” as critics purposely misconstrued his words; committing some troops to occasional military exercises; allowing officers and troops to take advantage of education programs; and other activities. 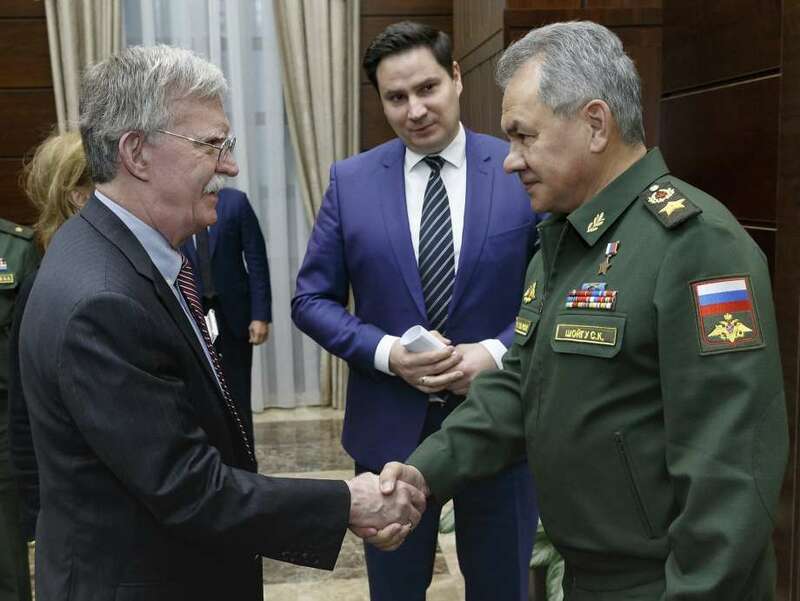 NATO is considerably more than an arrangement that provides for a combined military force designed to deter, and if necessary fight and defeat its most likely adversary: Russia. NATO is an expression of European solidarity. It is essentially an expression of the ties of Western countries as a family. Indeed, the US from the beginning was colonized by many of the same Western countries it now helps to defend. There is in many cases a common history, traditions, culture and well as common values and beliefs. Unity among them in NATO is based on common values and interests. There is no rational reason turn it all asunder. The US, Canada, the European countries, and now Colombia, must stick together and work through issues together as a transatlantic family. Families can always heal over an issue. Things can always get better in a family, especially when good thinkers are engaged on a matter. Even in family relationships, there are always irritants. Little issues can linger and nag, negative statements are magnified. The role that the US plays on the NATO family should not be minimized or taken for granted. Under U.S. leadership for nearly 70 years, the alliance has accomplished great things while regional peace and security was maintained.. Responding to US leadership certainly does not require submission, subjugation, kowtow, even simply showing deference. It also does not entail expecting the US to carry Europe, or at least it should not. Hopefully, in European capitals, a sense of being entitled to heavy US assistance does not exist. Europe has brought itself up since the end of World War II, through the Cold War, and to the present with US help. Europe now must truly stand side by side with the US, facing forward and not standing behind or in the shadow of their powerful ally. A decision to make that adjustment would truly demonstrate that US efforts on European defense and transatlantic collective security are appreciated and being built on and not simply being taken advantage of. Many leaders in European capitals have shown no indication that they understand or are even trying to understand how things look from the other side of the Atlantic. That kind of broader perspective is not apparent in the public statements and messaging. If those leaders perspectives can change a bit, and the effort is made to work alongside the US as real partners and not as dependents, the security picture will become better for everyone. Trump is likely quietly optimistic about that. Many European leaders have provided no indication that they understand or are even trying to understand how European defense and transatlantic collective security looks from the other side of the ocean. A broader perspective is not apparent in their public statements or messaging. If those leaders perspectives can change a bit, and the effort is made to work alongside the US as real partners and not as dependents, the security picture will become better for everyone. Trump is likely quietly optimistic about that. In Act IV, Scene iii of William Shakespeare’s The Life and Death of Julius Caesar, civil war has broken out and Octavius and Mark Antony are in Rome setting forth to retaliate against all who plotted against Caesar. Brutus and Cassius, who were among Caesar’s assassins, are camped with an army away from Rome, hoping to finish their work of reclaiming the Republic. Brutus and Cassius are in their tent, formulating a strategy to defeat the army of Octavius and Antony. Cassius suggests waiting for Octavius and Antony move to nearby Philippi, hoping the march will wear out their army, making them less effective if they tried to attack their camp. out along the way. Brutus fears Octavius and Antony may gain more followers during that march and believed their own army was at its peak and needed to strike immediately to exploit that advantage. Brutus states: “Under your pardon. You must note beside, That we have tried the utmost of our friends, Our legions are brim-full, our cause is ripe: The enemy increaseth every day; We, at the height, are ready to decline. There is a tide in the affairs of men, Which, taken at the flood, leads on to fortune; Omitted, all the voyage of their life Is bound in shallows and in miseries. On such a full sea are we now afloat; And we must take the current when it serves, Or lose our ventures.” On occasion, Trump will appear driven in a particular situation by the idea that bold action, when appropriate, can turn situations around. His goal is to exploit success, preserve his freedom of action on immediate matters, and reduce vulnerability from action by his competitors. 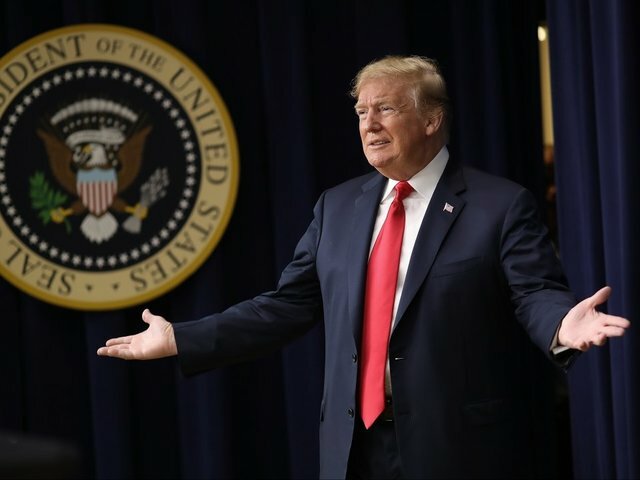 He acts in a manner designed to gain advantage, surprise, and momentum over his competitors, achieving results that would normally require far more time and would be more costly to the US. This has been observed repeatedly in his interactions with foreign leaders. 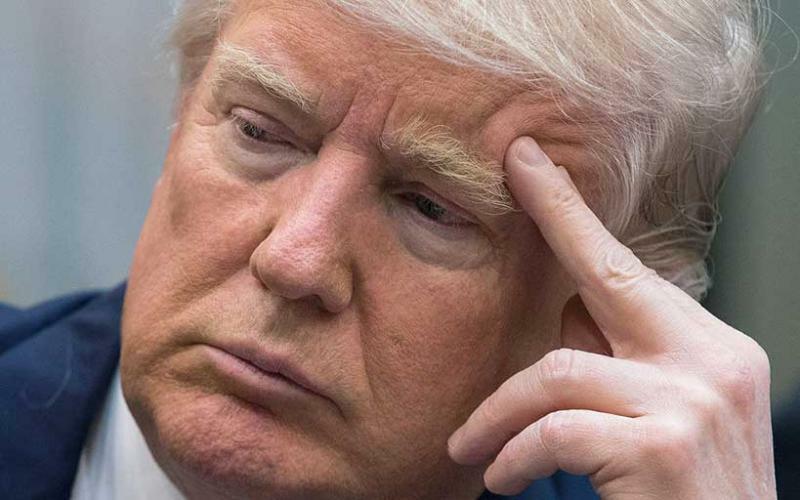 Trump’s discernment of events and situations as well as his planning and execution of actions against competitors greatly resembles what military thinkers define as maneuver. He rushes to place himself in superior position in order to overcome and defeat his opponents efforts. Trump wants to deal with European defense and transatlantic collective security and the Russian threat to Europe while he is president. He feels that now is the time to act. Unlike his predecessors, he does not want to pass the problem on to another president after his second term ends. He likely sensse that as time passes, the matter will only become more urgent. For Trump, a robust military build up is the best answer to deal with the Russian threat to Europe. He is also trying his best to connect with Putin to change his perspective and establish long-term peace and stability for Europe. 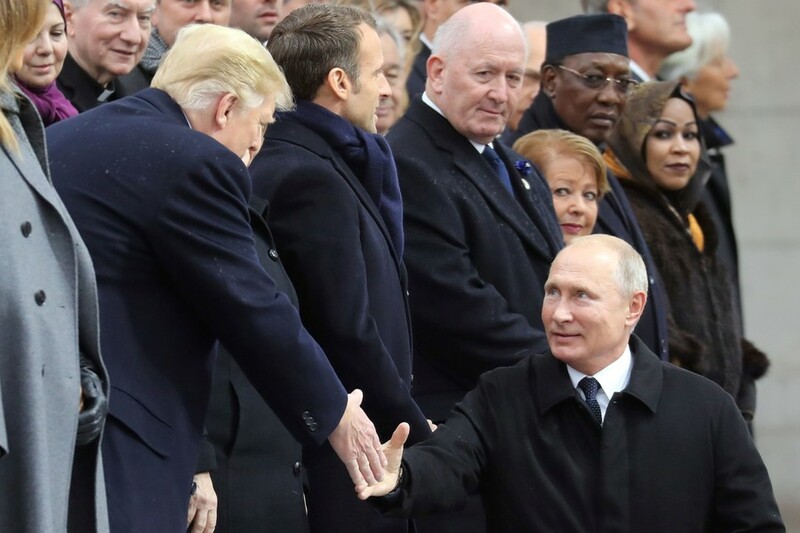 Putin will readily exhibit an openness to diplomacy and his words create the impression that he can be flexible, However, Trump knows that may all be lip service. Given Putin’s record of behavior even during the short span of his administration, it is difficult to trust that Putin will behave. As a next step, if diplomacy does not bring satisfactory results fast enough Trump might boldly push back on Russian advances, reclaiming territory for partners as Ukraine and Georgia. That might inform Putin that he will not be allowed to have a free hand in Europe under his watch and that his latest acquisitions in Europe are vulnerable. 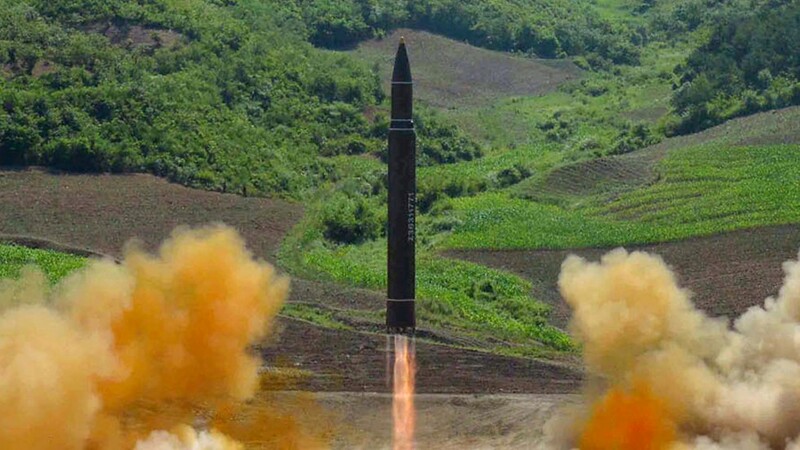 However, Trump would still need to wait until sufficient military power in place to thwart attempts by Russia to respond militarily before such moves could ever be executed. That brings the matter back to the Europeans. Right now, European leaders do not seem too interested in building up sufficient military power to defend themselves. Some European leaders are willing to adhere to a position on defense, even if it is wanting, and then fully accepted it as satisfactory because it was determined to be the best or only recourse available. Trump’s letters have called those leaders out on that behavior. Trump is unwilling to simply accept the status quo. In his view, the time for half-measures has come to an end. Europeans must open their minds to new facts and thoughts. New perspectives on defense must arrive in their thinking.